Feature Article: What do I need for my new puppy? 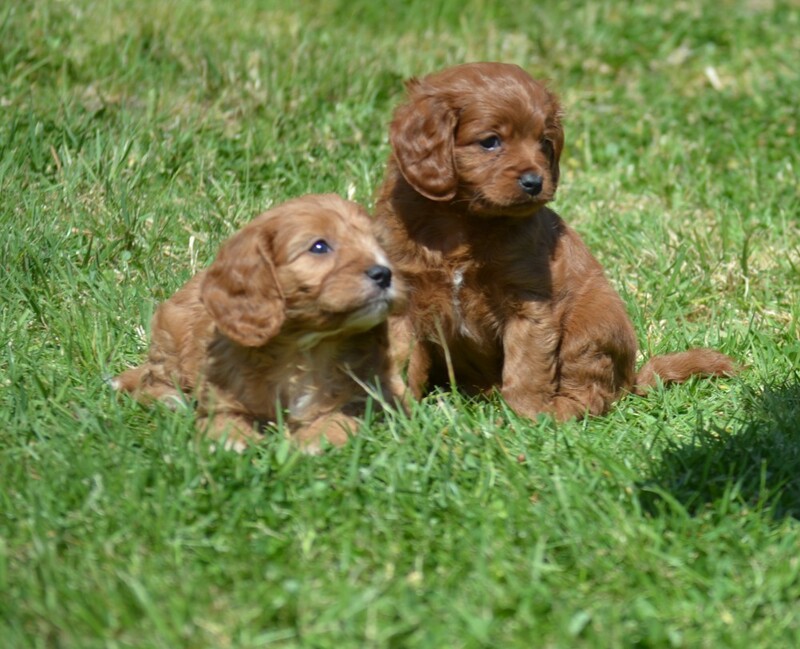 Welcome to Banksia Park Puppies first feature article! Our feature articles will be written around every 3 months. The first one has been written by Nick one of our puppy consultants and helps you uncover the basics, essentials, and ‘need to knows’ for your new puppy! Thanks Nick, and we look forward to your next feature article. Hi, we get HEAPS of questions from our lovely customers on what they will need and what they should think about when bringing the new member of their family home. Many of them say that they wish they had thought about this before picking up their puppy, so here are all the answers! We hope it is helpful, let us know if you have any questions and we are more than happy to help you. Bringing a puppy home is like bringing a toddler home! You need to check your house for things that could get puppy into mischief. Have a look for anything at a low height; your puppy can be very quick so move anything you’re worried about to a higher position (think poisons, breakables etc). Stairs can be dangerous as your puppy wont understand heights. Be careful when teaching puppy to use them and don’t let puppy fall down them. Puppies can be very curious so be on the lookout for things outside too such as decks and pool fences – you would be surprised the small gaps your puppy will be able to get himself into. Make sure you are prepared and have closed in all these holes or made them ‘puppy friendly’ before you bring puppy home. Think about the beds and couches in your house (if you puppy will be inside). Do you want your puppy on the beds and couches inside your house, or will he or she be restricted to a puppy friendly mat or similar to sit on? Make sure you have these rules worked out, as you don’t want to confuse puppy. It is much easier to be strict when they are a new puppy than trying to change their behaviour as an older dog. Your new puppy needs puppy food for the first 12 months of its life. You will want to feed your puppy what it has been fed after coming off mum. It will have had a few changes such as moving away from its brothers and sisters, so keeping the food the same is a good thing for puppy to keep it feeling secure, as well as keeping its bowels and tummy working correctly. You can ask our puppy consultants what your puppy has been fed, and they will help you choose the best food for your particular puppy (the food sometimes changes depending on if your puppy is a smaller or larger breed). All of the puppies coming from Banksia Park Puppies have been fed Hills Science Diet, but ask our puppy consultants and they can help you choose the exact sort. Your puppy will want a nice soft bed, comfy for your new puppy to snuggle into. He has come from being snuggled next to his brothers and sisters in a warm bed, so will settle easier if he’s warm and comfy. You really do need to get a bed that is machine washable and can go into the dryer too. Your new puppy may have accidents while you toilet train him or her, so it’s best to make it easy to clean for you both! If your puppy is going to be sleeping outside you will need a kennel as well as it’s bed to keep your puppy warm. Puppies and dogs like smaller kennels rather than big ones, and it helps keep them warmer, so make sure that you don’t get a big one thinking that puppy will ‘grow into it’ as you might find that puppy wont like it or be able to keep warm! You will need a mat or a bed inside the kennel for comfort and warmth. TIP: A good tip for introducing your puppy to it’s kennel is not to push it inside. You don’t want puppy to be scared of it, so hide treats and toys inside and gently entice puppy in with fun and love. Something that some new owners don’t think about is getting a food bowl with a rubber base on the bottom to stop it moving. This will help new puppies adjust to eating from a new bowl without having to chase the bowl around! You will also want a separate water bowl. You will want one that is not easy to spill, as new puppies are very curious. We suggest bowls that are heavy so that your new puppy can’t tip it over. You will want puppy’s collar to not be too big or small. We suggest fitting the collar while puppy is there, so that you can fit two fingers under it (so its not too tight). You also want to make sure that it’s not too loose, then it may come over your puppy’s head! This is why we suggest waiting until you have your puppy to buy this one. At this time our puppy consultants can help you fit and choose the right collar for your individual puppy. You will want your lead to be light to begin with, as your puppy is only small. So you’ll want a light material and a light clip for your puppy to get used to having a lead on. You will most likely also want one a bit longer, one about 1.8m is a good length and one we suggest for most of our puppies. It’s good to get this at the same time as your collar so that you can make sure that they work well together. and a soft toy for puppy to play and cuddle up with. A soft puppy slicker brush with balls on the pins is ideal for a puppy. TIP: Brush puppy daily so it gets used to being brushed, it will make it much easier as it gets older! Your puppy will need a different shampoo as a puppy, so make sure you get a puppy shampoo as it’s soft and gentle on the skin. You don’t want to wash pup too often as this isn’t good for their skin; ideally washing the puppy one a month is best. As a puppy while they’re getting into everything they can sometimes need a freshen up between baths, if you would like you can use fresh coat sprays/cologne for dogs (our puppy consultants can help you here!). These are what we recommended to our owners to buy. They generally make training and owning a puppy a big easier! You will want to get straight into training your puppy. Dried chicken treats in very small pieces works really well for rewards when you are training your puppy. This way the puppy eats the reward quickly and is ready to continue learning. Chicken is good as it is gently for puppy’s stomach; you will want to introduce new strong flavours slowly so that you don’t upset puppy’s tummy. These are great for pup to chew on and keeping pup entertained. Exercise pens are a great idea and can be used inside or outside. They come in different heights to suit your particular puppy. It’s a good piece of mind for overnight or even just if you want to have a shower! It will help you know that your puppy is happy and safe. You pen will want to be big enough for puppy’s bed, water bowl, toys, and a toilet mat. You may even put a kennel in it if you are using it outside. You can train your puppy to use a toilet mat which is really helpful for a lot of people. These are very handy when puppy sleeps inside or you don’t have easy access to outside areas. They are very absorbent and usually have a scent in them to help attract pup. This is one of the best and safest ways to transport your puppy in a car. The puppy is secure and can’t then move around the car. They also are adjustable which is great as your puppy grows. We hope that this has helped with some of your questions! It is such an exciting time having a new puppy join your family, and we know there is a lot to think about. Our puppy consultants can always direct you to what is best for your particular puppy and circumstance, so don’t hesitate to contact any of us, or Banksia Park Puppies with any questions. Let us know if you have any suggestions or anything that you did which worked really well, we love hearing your stories and it can help other Banksia Park Puppy owners. ← More photos of gorgeous mums and dads! What a great article! Really handy tips – and some things I wouldn’t have considered.